Nintendo has been in the hot-seat ever since it revealed the Wii U at its Electronic Entertainment Expo (E3) press conference earlier this year. The underwhelming response of the fans was taken a sign of inevitable doom for the new hardware, with many industry analysts writing off the console completely, arguing that it hardly has the juice to hold its own in front of Sony and Microsoft’s current as well as next-generation consoles. Firebrand Games, however, is among the few developers who disagree with what the analysts have to say. In a recent interview with guardian.co.uk, the studio’s creative director Peter Shea asserted that it is never wise to underestimate Nintendo, while adding that the upcoming console is bound to offer much more than what is being assumed. 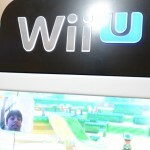 The studio is already working with the Wii U technology as it is in the process of developing a multi-platform title. 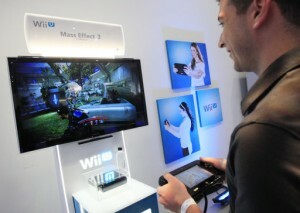 Using his own experience with the technology as reference, Shea conceded that the technology used in Wii U is without any doubt interesting and unique in various ways. He explained that almost everyone is focusing solely on the graphical capabilities of the hardware, which is a wrong way to look at the console since power is not the only standard to judge a gaming console. 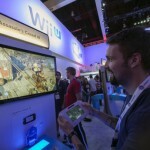 Shea stated that the high-definition (HD) game his team is currently working on has already been tested on Wii U and so far it has worked fine, thus eliminating the fears of many people who were under the impression that the system would not be capable of successfully supporting HD games. 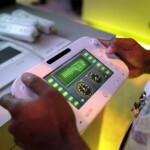 He further went on to add that the other technology introduced by Nintendo, especially the tablet controller GamePad, is something that can easily pave way for some pretty interesting gameplay and experience, the two things that the company has relied on in the past for most of its success. The creative director admitted that there is a possibility that the true potential of Wii U may not be realised during the first few years, but sooner or later, its true capabilities may be unleashed. This would, however, take time and the developers will need to have confidence in the technology that Nintendo has put on their table. Experimentation would be the key to unlocking the actual potential of Wii U. “It definitely has a lot of scope for experimentation. The combination of a second viewport on handheld screen, very accurate gyroscopes and accelerometers, and front and back cameras seems to offer a lot of possibilities – and you’re seeing some of the more obvious ideas already in titles like ZombiU. The Controller itself is light, nice to hold and has a great display on it – it feels impressive and natural in the hand; once you hold it and play with it, it does make sense – perhaps not in the revolutionary way Wii Remote made sense, but it is intriguing nonetheless,” said Shea. It would be interesting to see if developers ignore all the negative stuff that is being said about Wii U and decide to take a leap of faith. Nintendo has a history of surprising industry analysts and delivering a rich and entertaining gaming experience, something that allows it to do well in the market despite the odds being against it.